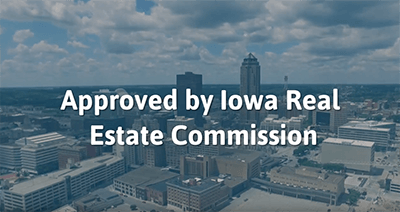 We are approved by the Iowa Real Estate Commission as a continuing education provider (IA real estate education provider # 180). Complete your continuing education to renew your IA real estate license today. All of our courses can be completed At Your Pace online in order to help you maintain your license. Once you complete your class you will have an official certificate of completion available to print or save for your records. Most licensees are required to take 36 hours of continuing education to renew their license. Of those 36 hours,12 hours must be on Mandatory Legal & Ethics topics. The remaining 24 hours can be on commission approved electives. Only 24 of the 36 hours may be taken online. This class covers various lending laws and practices, sources of financing, governmental loans and loan programs, and alternative sources of financing. This class covers the general concepts in business ethics, then delves into the Code itself, starting with the Preamble and moving through each Article. The final portion of the class will explore how the arbitration system established by the National Association of Realtors® is used to settle contractual disputes. This 8 hour package of educational content is designed to provide Iowa real estate professionals with an overview of important topics and concepts related to the ownership and management of real property. This package covers topics such as basic property law, legal descriptions of property, land use controls, valuation of property, taxation of property, investment in real estate, property management, and the foreclosure process. This 7 hour Elective course is designed to provide Iowa real estate professionals with an overview of important topics and concepts related to the management of a real estate business. 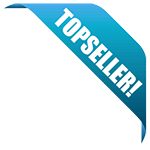 This topics covered in this package generally fall into three areas: management of real estate business, record keeping, and safety when showing a property. Protecting the Property both before the showing and during the showing. The course below is approved with the Iowa Real Estate Commission for education elective credit, or other credit as defined below and allowed by Administrative Rules 193E. All Iowa Real Estate Commission administrative rules do apply. Please remember during each three year renewal period a course may be taken for credit only once. A course may be repeated for credit only if the course numbers and instructors are different.